7 Day Beginner Keto Meal Plan for Weight Loss to Get You Started! 7 Day Beginner Keto Meal Plan for Weight Loss! To be honest, starting out on Keto can be challenging. Although you may have a list of different keto foods to eat to achieve Ketosis, but knowing what to eat each day can be daunting for a beginner. This is why I’m providing this 7 day beginner keto meal plan to help you get started. We know that the keto diet is a low carb, moderate protein and high fat diet that can help you lose weight fast. But that can only work if you get it right. 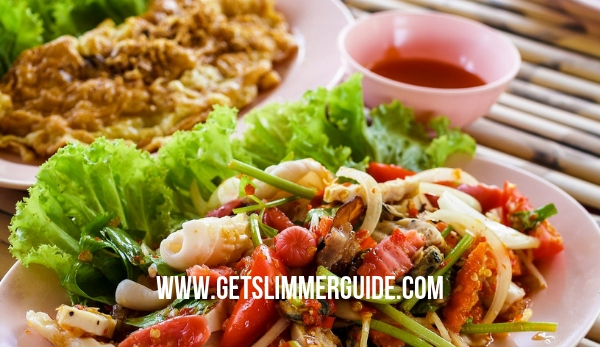 So if you really want to achieve your weight goal with the keto diet, you need to strictly follow the diet requirement. And I believe having a beginner keto diet meal plan to start with can help you get it right from the onset! This is a simple and easy to prepare a meal. You can fry two eggs and some bacon. The purpose of eating such a breakfast is to help you stay full and energized for the day ahead. Bacon and eggs are so filling! And having taken them for breakfast, you will realize that by lunch time you won’t be feeling starved. So, since you are not feeling too hungry at luch time, spinach salad will be okay as it helps you to stay full without bogging you down. You can take some spinach salad with bacon, some red onion, tomato, and hot vinaigrette source. You can even add some Salmon, and that will create a healthy lunch. This is another delicious and easy to make keto meal. Just cook some fresh beef patties, top one piece with cheese and stick the other piece on top. You can add veggies and some low carb sauces, and that’s it! Get the recipe. Eggs are highly recommended for the keto diet because they are high in protein, which helps you feel full for a longer period of time. Here is the recipe. You can make BLT salad by using 2 cups of lettuce. Dice tomato and crush some bacon. Mix everything together in a bowl, add three tablespoons of mayo and a splash of hot sauce. You will need lemon juice, butter sauce, chopped garlic, pepper and some salt. You can drizzle the sauce on 4-6 oz portions of Salmon fish and bake until done. Use another bowl to toss the asparagus in a mixture of salt, olive oil, and pepper. Ensure that you evenly spread it out on a cookie sheet and let it roast in an oven for 20 minutes. I still recommend eggs for your breakfast due to their high protein and low carb contents. Beat three eggs in a bowl and add vegetables and cheese. You can put them in muffin tins that have some strips of bacon. Let them cook for 30 minutes. To check if they are cooked, stick a toothpick in the middle of the egg muffin, nothing should stick on the toothpick if done. You need a quick, delicious meal at lunchtime and that’s why you can’t go wrong with this. If hot sauce isn’t your thing, you can try blueberries with cottage cheese. Meatloaf can be a great keto dinner. It delicious as well as filling, helping you avoid going for that late night snack. But it has to be low carb – meaning all the ingredients used should be low carb. Remember, keto is a low carb diet. Check out this classic keto meatloaf recipe. You can repeat day 1 breakfast – that’s eggs and bacon. When making Tuna salad, remember to use low carb ingredients. You can find a delicious tuna salad recipe here. Get some shredded cabbage and cook them with ground beef, onions, red pepper flakes, soy sauce, and garlic. This works well for breakfast because it is filling and keeps you full till lunchtime. Do you have leftover tacos? You can top it with sour cream and salsa. If you wish to add something more, some shredded cheese might make the taste better and help you stay full the whole day. You can pair a nice pork roast with some broccoli, Brussels or roasted cauliflower. You can make fatty coffee by blending 1-2 tablespoons of coconut oil, stevia and two tablespoons of grass-fed butter. You can read more on how to prepare fatty coffee. This is basically a repeat of day 2 lunch. You can cook Tacos with some beef. Add a small portion of full-fat sour cream and cheese, and your meal is ready. This is a simple meal that takes takes about 15 minutes to prepare. You crack an egg in a bowl and cut avocado into half and pour the egg into it. Let it bake until the egg is done. Spread spicy hummus on deli sliced chicken. You can wrap it up with butter lettuce, and that will be your quick, healthy lunch. Get pork roast and mix it with cream cheese, peppers, sliced onions and shredded cheddar. Let it bake for 30 minutes and enjoy your hearty meal. Keto Diet Beginners Meal Plan – Conclusion! The ketogenic diet can help you lose weight if you do it right. But, going keto doesn’t mean that you have to eat flavorless meals. 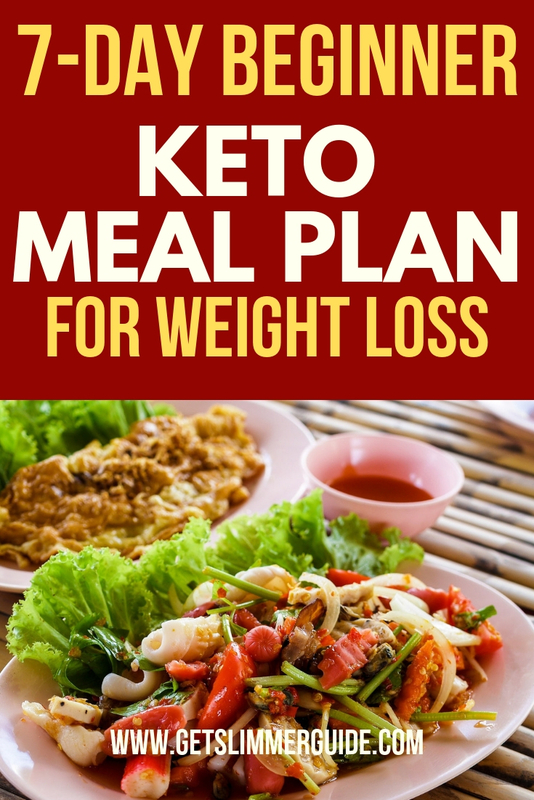 You can start with this 7 day keto diet plan for beginners and go on to develop your own meal plan latter. Did you find the 7 day beginner keto meal plan helpful? Feel free to share your opinion in the comment section below.